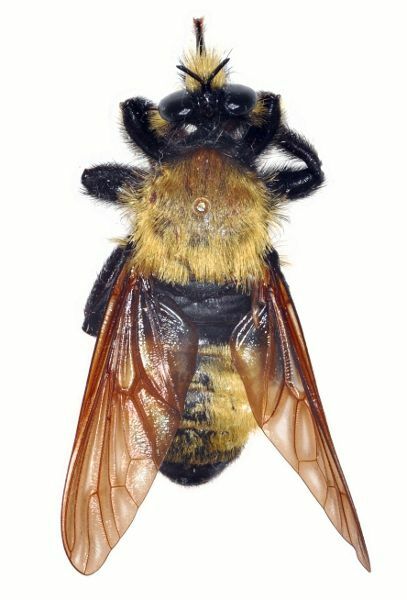 Laphria grossa (Fabricius), Male. Photo by S. W. Bullington. 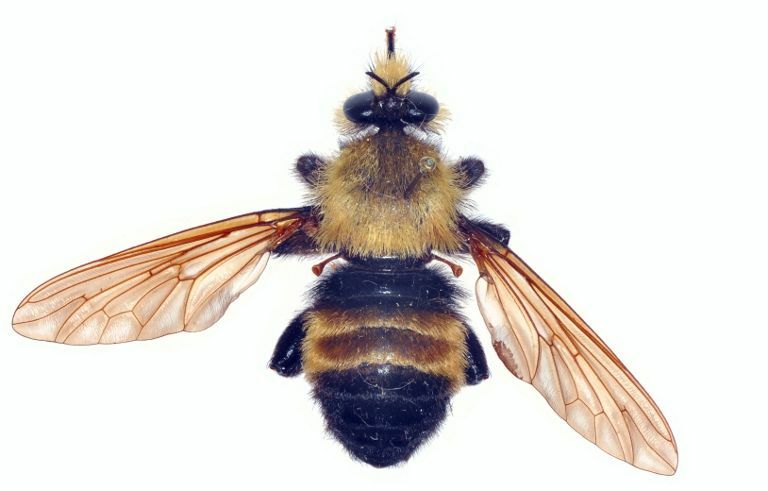 Laphria grossa (Fabricius), Female, typical form. Photo by S. W. Bullington. 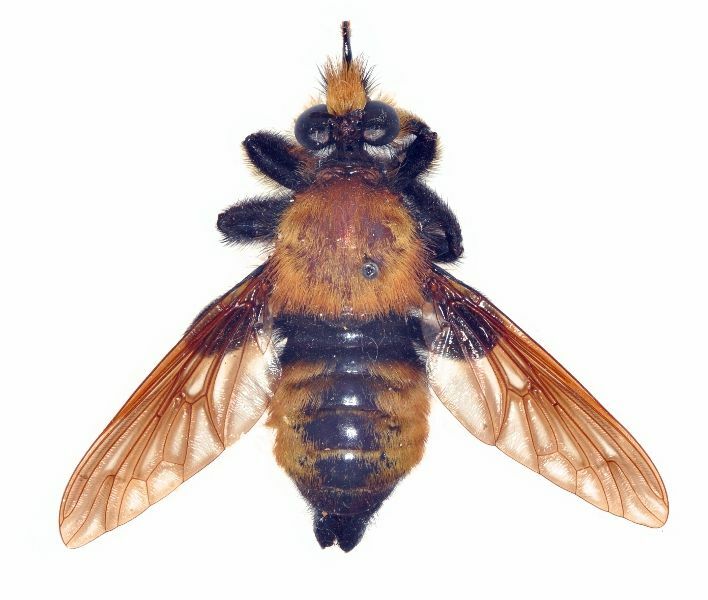 Laphria grossa (Fabricius), Female, banded form. This may be a new species. Photo by S. W. Bullington.